The Salem Chamber of Commerce celebrates the success of local businesses at the Celebrate Salem Awards Dinner on April 24, 2018 at the Peabody Essex Museum. The program of the evening includes the presentation of the “Celebrate Salem Awards”. Awards are handed out annually in the following categories: Businesswoman of the Year, Businessman of the Year, New Business of the Year, Excellence in Retail, Community Service, and Long Term Achievement. Winners per category will be decided by a general vote by the community at large. 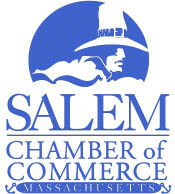 The Salem Chamber allowed one vote per person (by online vote). To vote, please follow the link on the right side of the page. Click "VOTE NOW" above to vote for your favorite nominees for the 97th Annual Celebrate Salem Awards Dinner on April 24 at the Peabody Essex Museum. Click "Purchase Tickets Here" above to sign in and purchase your tickets to the 97th Annual Celebrate Salem Awards Dinner on April 24 at the Peabody Essex Museum. Click "Sponsor Awards Dinner" above to sign in and sponsor the 97th Annual Celebrate Salem Awards Dinner on April 24 at the Peabody Essex Museum.